Roy Green is Special Advisor and Chair for UTS Innovation Council, at the University of Technology Sydney. Roy graduated with first class honours from the University of Adelaide and gained a PhD from the University of Cambridge, where he was also a Research Fellow. He has worked in universities, business and government in Australia and overseas, including as Dean of the Macquarie Graduate School of Management and the Business School at the National University of Ireland, Galway. Roy has advised and published widely in the areas of innovation policy and management as well as trends in business education. He has undertaken research projects with the OECD, European Commission and Enterprise Ireland. In recent years, Roy chaired and participated in the Australian Government’s Innovative Regions Centre, CSIRO Manufacturing Sector Advisory Council, NSW Manufacturing Council, Enterprise Connect Advisory Committee and ABS Innovation Reference Group. He was co-author of a Business Council of Australia/ Society for Knowledge Economics report in 2006, New Pathways to Prosperity: A National Innovation Framework for Australia, he conducted the Australian Government’s Review of the Textile, Clothing and Footwear Industries in 2008, Building Innovative Capability, and he led Australian participation in a major global study of management practice and productivity in 2009, Manufacturing Matters for Australia – Just how productive are we? In 2012, Roy contributed to the Prime Minister’s Manufacturing Taskforce report Smarter Manufacturing for a Smarter Australia and was co-author of a research report on productivity for the McKell Institute, Understanding Productivity – Australia’s Choice. Subsequently, he coordinated an 18 month Australian Government funded project by the Australian Business Deans Council on The Future of Management Education and co-authored a report on public sector innovation for the Institute of Public Administration Australia, Shaping the Future through Co-Creation. In 2015, Roy was asked to prepare a report for the Senate Innovation System Inquiry on The Structure and Performance of Australia’s National Innovation System which became an input to the Prime Minister’s National Innovation and Science Agenda. 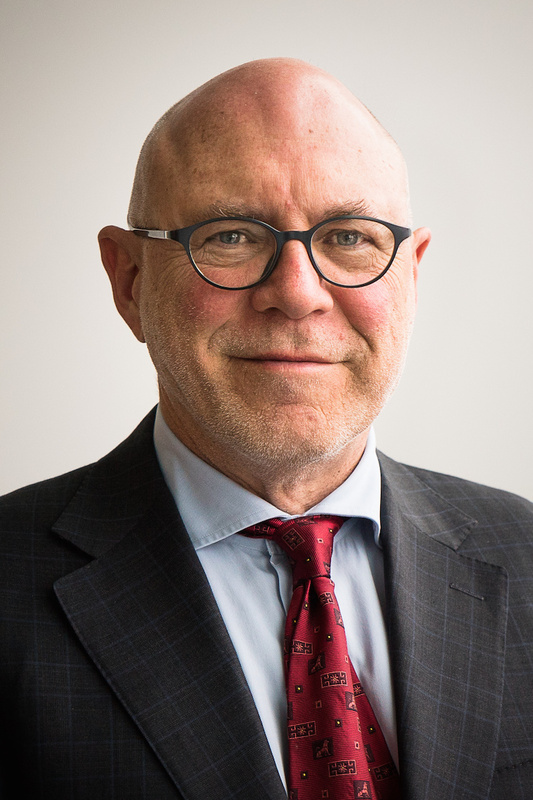 Roy also joined the Research Advisory Committee of the Centre for Policy Development and Universities Australia Work Integrated Learning Taskforce, and he was appointed Chair of the Queensland Competition Authority. Green, R 2013, 'After the Boom: Where Will Growth Come From? ', EBE Journal, vol. 1. Green, R 2008, 'Creating Value in Boundaryless Clusters', New Planner, vol. 74. While temporary agency work possesses several conceptual and empirical challenges for researchers, it also poses challenges for regulators. This paper considers some of these challenges concerning various definitions, classifications and measurement of temporary work while comparing the Australian and Irish experience. It is concluded that while agency work in Ireland and Australia is modest, it is growing, and the conceptual and empirical problems associated with its under-recording pose difficulties for the design and implementation of a regulatory code for this sector. Green, R 2015, 'Discussion of Does Innovation Make (SME) Firms More Productive?'. Green, R 2013, 'After the Boom - Where Will Growth Come From?' in Lyons, M (ed), Pushing Our Luck,, Centre for Policy Development, Sydney. Green, R 2013, 'From Mechanics School of Arts to UTS Business School' in Adelaide, D (ed), Creating the Future, University of Technology Sydney. Green, R. & Agarwal, R. 2011, 'The Role of Education and Skills in Australian Management Practice and Productivity' in Curtin, P., Stanwick, J. & Beddie, F. (eds), Fostering Enterprise: The Innovation and Skills Nexus - Research Readings, DEEWR/NCVER, Adelaide. The regional dimension of innovation in a global competitive environment is attracting increased interest among both researchers and policy-makers as regional econo mies are recog nised as 'sites of the most advanced forms of economic development and innovation' (Storper, 2003: 580). This chapter examines the rece nt emergence of the highly successful med ical technology cluste r in Galway, Ireland - now the biggest conce ntration of medical technology employment in Europe - in the context of the growing literature on industrial cluste rs, its further evolution as systems of innovation and the related emphasis on the role and 'embeddedness' of FDI in these systems at a regional level. The literature would suggest that regions are ' synergy-laden' systems whose innovat ive activity and capacity are determined largely by ' the set of organisations and linkages present for the generation, diffusion and application of scientific and technological know ledge' (Ga lli and Teube l, 1997: 345) , which can pos ition, or reposition, regions on specific tech nolog ical trajec tor ies. Green, R 2008, 'What Graduates Want - An International Perspective' in Cunningham, J & Harrington, D (eds), Management 2.0, Blackhall, Dublin. Green, R 2007, 'Competing through Innovation' in Marsh, I (ed), Competing from Australia, CEDA. Green, R & Lafoucriere, C 2006, 'Social Dialogue as a Regulatory Mode of the ESM:Some Empirical Evidence from the New Member States' in Jepsen, M & Pascual, S (eds), Unwrapping the European Social Model, Policy Press. The June 1998 European Council summit under the UK presidency in Cardiff initiated an ambitious process of reform of national product and capital markets, which may also have implications for the structure and performance of labour markets. The rationale for the 'Cardiff process' of structural reform lay, first, in the need to respond in a coherent way to the pressures of globalisation and the 'single market' in Europe and, second, in the claimed superiority of US economic performance during the 1990s, which was explained by flexible and liberalised markets, especially in relation to pay, working conditions and labour mobility. At the time, this explanation not only passed unchallenged in public policy debate, but was explicitly incorporated into a Blair-Schroder joint document on the 'third way'. Moreover, it was observed that Europe, by contrast, had been experiencing lower growth and higher unemployment, which was attributed to state ownership of public utilities, lack of competition in product and capital markets, generous social benefits and inflexible labour markets. Green, R & Hilliard, R 2005, 'Governance and Institutional Change in Ireland' in Remoe, S (ed), Governance of Innovation Systems, OCED. Ryan, P, Giblin, M & Green, R 2003, 'Industrial clusters - The role of organisations and institutions' in Genoff, R & Sheather, G (eds), Innovation and the Knowledge Economy: Industrial Regeneration in Northern Adelaide, Playford Publication, Playford, UK, pp. 309-332. Green, R & Marsh, I The Political Quarterly 2016, The Commons Select Committees in the 2015-2020 Parliament. Green, R, Marsh, I & Pitelis, C Committee for the Economic Development of Australia 2015, Future Skills, industry policy and a new social contract, Australia's Future Workforce?, Melbourne. Green, R, Marsh, I, Flinders, M & Cottier, L House of Commons 2015, Building Public Engagement: Options for Developing Select Committee Outreach, A Report for the Liaison Committee, London. Green, R, Marsh, I & Chaney, F Committee for the Economic Development of Australia 2014, Federal-state relations and indigenous governance: towards a pragmatist approach?, A federation for the 21st Century, Melbourne. Green, R & Logue, D CEDA 2013, Innovating Australia - How We Measure Up, Australia Adjusting: Optimising National Prosperity in 2025, Melbourne. Green, R 2013, The Role of Management in Lifting Productivity, Australian Workforce Productivity Agency Discussion Paper, Canberra. Logue, DM & Green, R Committee for Economic Development of Australia 2013, Innovation Australia: How we measure up, Australia Adjusting: Optimising national prosperity, pp. 92-106. Green, R, Fisher, L & Agarwal, R 2012, Management and Workforce Skills and Talent Report, Joint research report by the Australian Industry Group and the University of Technology Sydney, prepared for the Department of Business and Innovation, Victoria. Green, R, Agarwal, R, Brown, P, Brown, D & Randhawa, K 2012, Competition and Management Practices in New Zealand Manufacturing Enterprises, Report for the New Zealand Ministry of Economic Development. Green, R & Roos, G 2012, Australia's Manufacturing Future, Report for the Prime Minister's Manufacturing Task force, Department of Industry, Innovation, Science, Research & Tertiary Education, Canberra. Green, R, Rathinam, M, Agarwal, R & Liyanage, S 2011, Role of Managers in Management Innovation in Large Organisation, EURAM Conference on Management Innovation - A Journey into the Core of Research Management, Rotterdam. Green, R 2011, Making Innovation Work, The New Exchange. Green, R & Agarwal, R 2011, Management Matters in New Zealand: How Does Manufacturing Measure Up?, Ministry of Economic Development Occasional Paper 11/3. Green, R & Westacott, J 2010, Report to Government, Report of Public Sector Performance Commission, Government of South Australia, Adelaide. Green, R & Agarwal, R 2010, Management Matters in New Zealand: How Does Manufacturing Measure Up?, Report for the NZ Ministry of Economic Development, Wellington. Green, R & Thompson, D 2010, Australian Creative Industries: the Contribution of Design Graduates from Vocational and Higher Education Sectors, Report for NSW Department of Education and Training, Sydney. Green, R & Thompson, DG University of Technology, Sydney 2010, Sydney Business and Education Creative Hub Scoping Study, pp. 1-51. This study has its starting point in the emergence of a 'creative hub' of business and community activity in sydney's vibrant, multi-cultural area around Broadway and between Pyrmont and Surry Hills. This activity encompasses digital media and advertising, film and television, architecture and planning and fashion and design, and its internal dynamic of growth and innovation is increasingly reinforced by development of social networks and collaboration. The study asks what can be done to facilitate the growth and diffusion of this activity, including the opportunities for collaboration, and how can education and skill providers best contribute to build innovative potential and capability in firms and organisations to maximise their sustainable economic and social impact. Green, R & Hughes, K 2009, Northern Sydney's Global Technology Corridor: A Scoping Study of Cluster Development, Report for Industry & Investment NSW and the Australian Business Foundation. Green, R & Agarwal, R 2009, Managerial and Entrepreneurial Talent Framework - Fostering your entrepreneurial and managerial talent, OECD STI Working Paper. Green, R & Agarwal, R 2009, Managerial and Entrepreneurial Talent Framework - Developing Management and Entrepreneurial Skills in Firms and the Role of Policy, OECD STI Working Paper. Thompson, DG & Green, R UTS 2009, Improving Systemic Approaches to Innovation Skills Integration in the Creative Industries, pp. 1-39, Sydney. The degree to which students are encouraged to be innovative in both VET sector and university courses is an important factor in the development of a globally-connected creative industry that currently contributes 3% of Australian GDP. The Sydney region has the biggest concentration of design and media businesses in Australia and in 2009 the Government announced $17million over three years to develop a Creative Industries Innovation Centre at the University of Technology, Sydney as part of the Federal Government's Enterprise Connect program. This report focuses on 'design and media' education encompassing web design, advertising, print and publishing, broadcasting, film and TV, digital production, animation, online marketing, industrial design, visual communication, games design, fashion and textiles and interior design. The associated businesses are served by educational provision from five public universities and the ten colleges of Sydney Institute of TAFE, with a rapidly growing number of private providers offering both VET sector courses and university degrees. Green, R 2008, Review of the Australian Textile, Clothing and Footwear Industries, Report for the Minister of Innovation, Industry, Science and Technology. Green, R 2007, Building Innovative Capability in Organisations - the Human Element, 7th Annual Countess Markievicz Lecture, Galway, Ireland. Green, R 2006, New Pathways to Prosperity: A National Innovation Framework for Australia, Report for Business Council of Australia. Green, R 2006, Building Innovative Capacity: The Role of Vocational Education, Board of Vocational Education and Training Conference on Skills and Innovation: Putting Ideas to Work. Green, R, Gilbin, M, Walshe, E & Martinez Solano, L 2006, Knowledge-Intensive services activity in the Irish Software Industry, OECD Conference on Knowledge Intensive Services Activities. Green, R 2005, Innovation, Competitiveness and the future of social democracy, Rethinking Social Democracy Conference, University of Wales, Swansea. Green, R 2005, Academic Career Tracks for Business Graduates, Presidents' Panel, European Academy of Management (EURAM), TUM Business School, Munich. Green, R & Curran, D 2005, Assessing the Likely Impact of the Information and Consultation Regulations on Employee Voice in the Irish Workplace, Irish Academy of Management Conference, GMIT, Galway. Green, R & Fahy, J 2005, Regional Innovation Systems and Public Policy, Invited Paper at Conference on Role of Government in Regional Economic Development, University of Vigo, Galicia, Spain.